In this, our last eNewsletter for 2017, we showcase some of our achievements across the year. In our full first year of operation we have successfully delivered 23 short courses, 21 for the first time. Our global reach is evidenced by our delivery of courses in Malaysia and several locations in the Middle East. Our China GP program continues to expand under the leadership of Prof. Leon Piterman, who is also leading, along with Profs. 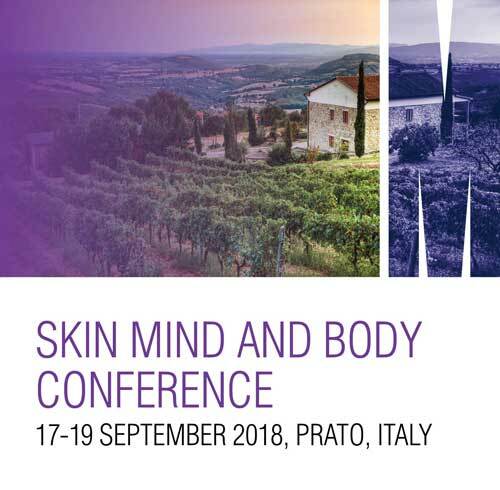 Jayashri Kulkarni and Ruth Salom, our inaugural Skin, Mind, and Body conference at the Monash Prato, Italy campus in 2018. 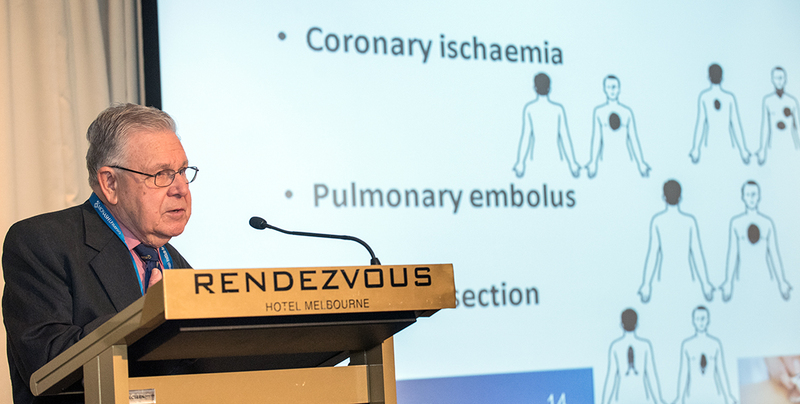 We successfully delivered the 39th John Murtagh Update in November for the Monash Department of General Practice, and are already planning the milestone 40th Update. 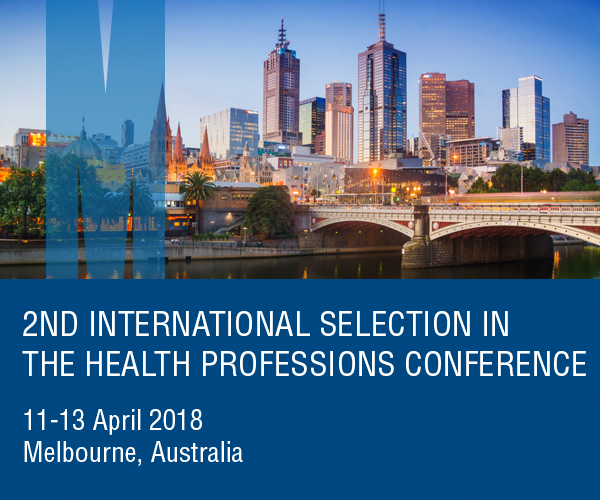 Our April 2018 conference on Selection into the Health Professions has attracted presenters from around the globe, with half of the program dedicated to selection into specialist training colleges. 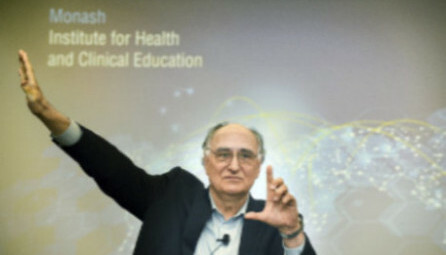 We have very few places left in our third iteration of the Leadership and Innovation in Health course co-delivered with Harvard Macy Institute. Representation from Australia, Canada, Japan, Malaysia, New Zealand, Oman, Saudi Arabia, Singapore, and the USA will ensure lively discussion and the generation of novel ways to improve health care system design and health care education. Prof. Debra Nestel continues to shine nationally and internationally with a series of invited keynote addresses, awards, and honours bestowed across 2017. Dr Victor Lee was the recipient of the prestigious ACEM Medicine Teaching Excellence Award for 2017 for his outstanding commitment to speciality training in Emergency Medicine. Dr Lee is Co-Course Director of our Assessment in Health Professions Education course which we delivered in Malaysia and Australia in 2017. The next course is March 22-24th, 2018 in Melbourne. Looking forward, 2018 will see the introduction of the Graduate Certificate of Health Professions Education and the Graduate Certificate in Clinical Simulation. The introduction of these degrees marks a highly innovative approach to Certification in continuing education, whereby half the degrees are completed via approved short courses and half via award units. 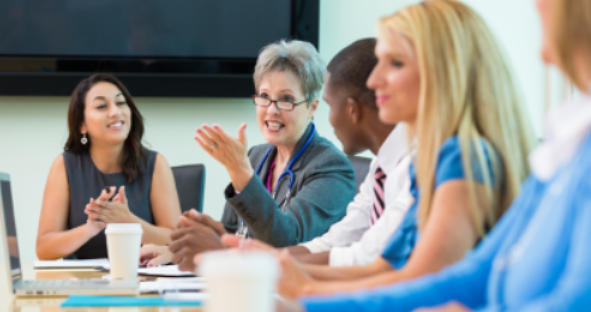 The goal is to enable busy health professionals to undertake short courses that are relevant and impactful to their practice, and accredit these to one of our two Graduate Certificate Degrees. A Master of Health Professions education in planned for 2019. More information will be available on the MIHCE website in the new year. On behalf of the MIHCE team, we sincerely thank you for your support during our first year. We extend our warmest wished to you and your families for a wonderful, safe, and relaxing time over the festive season. 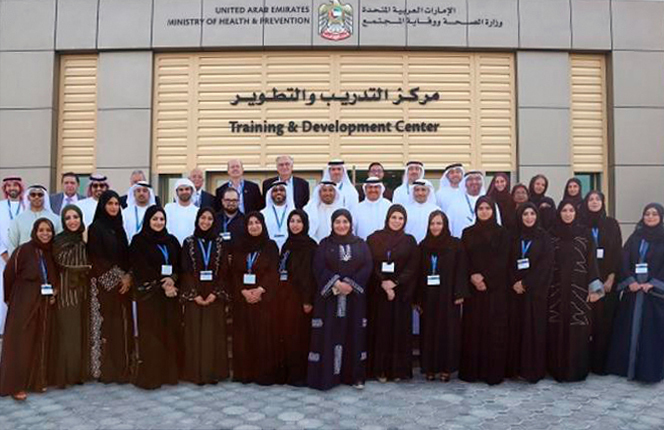 The MIHCE in collaboration with the Harvard Macy Institute, conducted the Leadership and Innovation in Health Course in Sharjah on November 12-16, 2017, and we made the local news. Click below to view article. In acknowledging the pivotal role played by primary health care in cost effective health care globally, China is progressively moving from a hospital based health delivery system to a community based system. In order to achieve this the Chinese Government committed this year to spend $1.8 billion over the next 4 years to train 170,000 GPs. 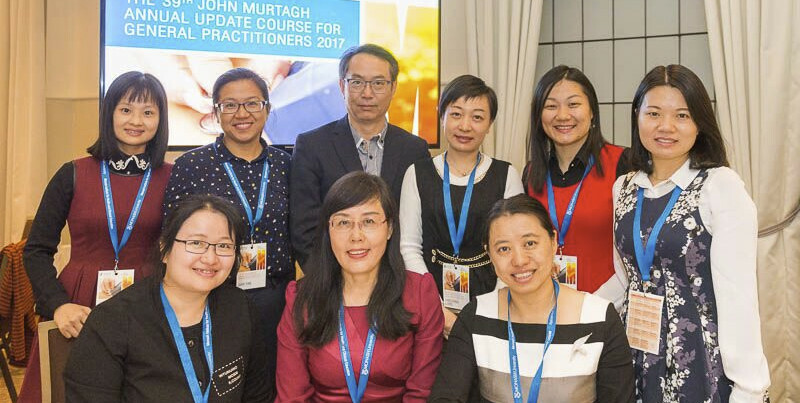 Over the past 7 years Monash in conjunction with and supported by the Government of Shenzhen City has been training GP leaders in what may be considered a “train the trainer “program. Over this period 100 Chinese GPs and over 100 managers have been trained at Monash. The development was initiated by Professor Shane Thomas and Dr Hui Yang as far back as 2006. Dr Yang has continued as the driving force behind the program. The GP training program was initially delivered over a 7 week period but this year Shenzhen supported an increase to 13 weeks. The outcomes have been extremely positive with great expectations awaiting the GPs as they return to Shenzhen to take on additional responsibilities. Word on the success of the program has spread to other Provincial Governments in China and Monash is now negotiating to deliver similar or modified programs to other regions. I wish to acknowledge the support of our Faculty of Medicine Nursing and Health Sciences, The Monash Institute for Health and Clinical Education and the Department of General Practice in conducting this program as well as the numerous teachers who have given their time to ensure its success. Special thanks to Dr Hui Yang and Ms Joanna Han. 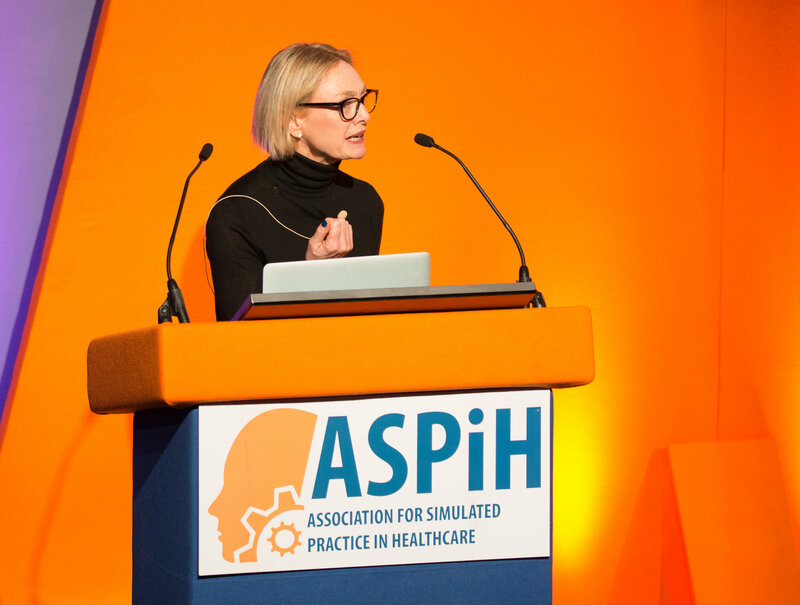 Professor Debra Nestel gave a keynote presentation at The Association for Simulation Practice in Healthcare (ASPIH) 8th Annual Conference in Telford, United Kingdom, in November. 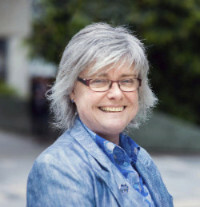 Debra's presentation titled, "I'm doing it this way because...": The science and art of simulation practice, summarised contemporary developments in the field of healthcare simulation research. She then focused on the use of simulation to support the development of procedural and operative skills as an illustration of how research has advanced simulation-based educational practice. This circled back to the keynote title enabling simulation educators to confidently finish the statement, "I'm doing it this way because...". The presentation neatly reflected the conference theme, “Delivering quality” which aligns with the Association’s recent achievement in the publication of a standards framework. See http://aspih.org.uk/standards-framework-for-sbe/ On her way to London, Debra ran a one-day course in Singapore on Optimising Learning with Task Trainers. With her surgeon colleague, Dr Caroline Ong, the multi-professional audience participated in various learning activities that culminated in the implementation of a simulation-based skills training session. The course was hosted at Academia and followed the S3 simulation conference at SingHealth. Debra also offered two fully subscribed workshops at S3 on simulated patient methodology and on briefing practices for simulation-based education. 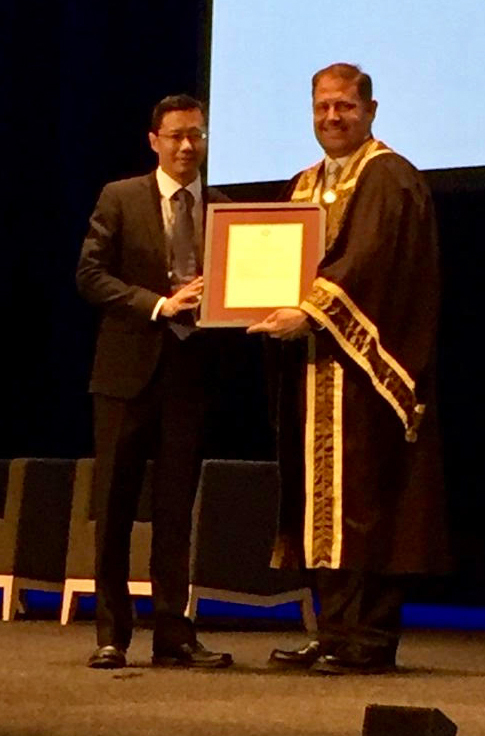 Dr Victor Lee, Co-Course director of our Assessment in Health Professions Education, was awarded the Australasian College for Emergency Medicine Teaching Excellence Award 2017 for his distinguished and extensive service in teaching and learning for the college. Dr Lee is involved in several key ACEM education committees, has created and supervises the Medical Education registrar position at Austin Health, was lead of the workplace-based Assessment Working Group during ACEM’s Curriculum Revision Project and has helped many registrars with their Primary and Fellowship examinations over the years. MIHCE in collaboration with Harvard Macy Institute, Harvard Medical School, Boston USA, has graduated two Leadership and Innovation in Health cohorts, the most recent in February, 2017. 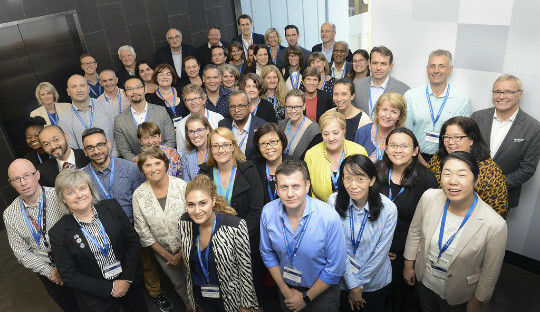 The participants enjoyed a week of collaboration with the course faculty and peers to understand and use design thinking processes to develop innovative ways to meet the healthcare needs of the community. The course attracts participants from all over Australia and internationally, including New Zealand, Japan, USA, Malaysia, Singapore, UAE, Indonesia, Brunei and the USA. Following Harvard Macy Institute tradition, seven scholars from the 2016 course returned as faculty, assisting with small and large group teaching across the week. We also have a large contingent of returning scholar faculty from around the world confirmed for our 2018 course. Monash Institute for Health and Clinical Education (MIHCE) and Harvard Macy Institute (HMI) scholars - we want to know your story! Have you completed a MIHCE or HMI course and left feeling invigorated? Have you noticed personal and professional changes as a result of completing one or more of these courses? If so, I would love to hear about it. I am Louise Allen, a Monash university PhD candidate affiliated with MIHCE. As part of my PhD I want to know about your experience of the MIHCE and/or HMI course(s) you have attended, what they meant to you, how you have applied what you learnt to your work, the connections and networks you have formed with other scholars and anything else you have to say about how the course(s) have impacted you. The Preceptorship is an interactive learning model developed by Professor Eva Segelov covering landmark clinical trials in specific cancers, with mentorship from experts in the field. It has been applied in the areas of lung, colorectal, upper gastro-intestinal and prostate cancers to aid trainees and junior consultants in their understanding of the evolution of management and evidence behind contemporary clinical practice. The course is designed for trainees and junior specialists (first 5 years of practice) in radiation oncology, medical oncology, surgery and imaging. Over the last decade Monash University’s Prato campus in Italy has been host to numerous Monash and international medical conferences. 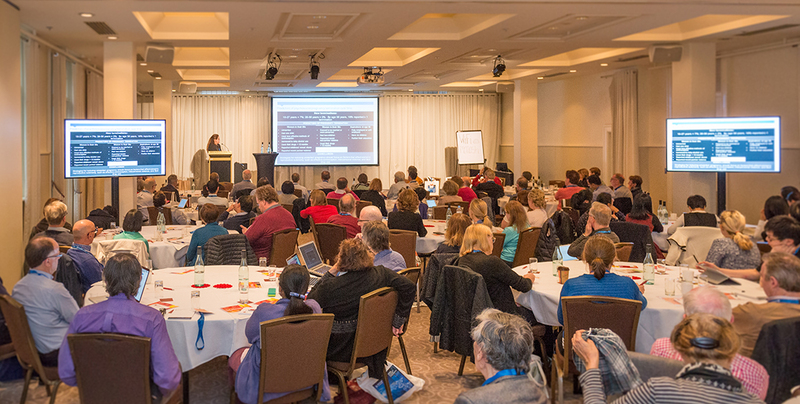 The inaugural Skin, Mind and Body Conference will be held September 17-19, 2018, convened by an international, multi-professional clinical committee and co-ordinated by the Monash Institute for Health and Clinical Education. The conference is a combination of medical updates for general practitioners as well as masterclass workshop updates for specialist doctors. The areas covered by experienced keynote speakers are pathology, dermatology, psychiatry and neurology. Sessions will be held in parallel to provide specialist workshops as well as general lecture presentations. General practitioners and general physicians will have an opportunity to update their skills in pathology, neurology, psychiatry and dermatology. Histopathologists with an interest in dermatopathology will have an opportunity to test their microscopic skills with 25 cases for diagnosis and discussion by Dr Eduardo Colonje. Psychiatrists, neurologists and dermatologists will benefit from the specialist presentations and reviews. Histopathology trainees, general practice trainees and senior medical registrars will have an opportunity to expand their knowledge and network with senior clinicians. Copyright © 2017 Monash Institute for Health and Clinical Education, All rights reserved. Authorised by: Chief Marketing Officer, Strategic Marketing and Communications. Maintained by: Monash Institute for Health and Clinical Education Webmaster Team. Last updated: Dec 2017.